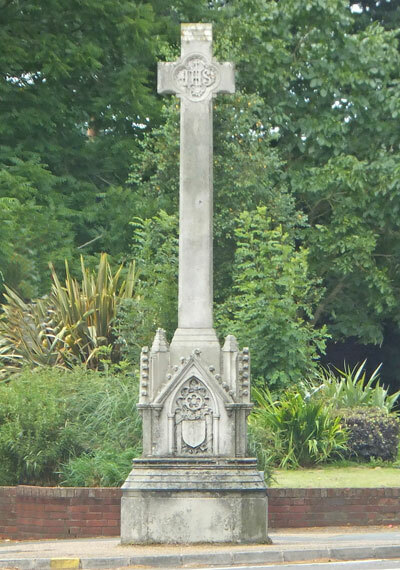 The Simeon Memorial Cross stands at the junction of Castle Road and Carisbrooke Road to the west of Newport. The inscription on the base of the cross is very worn and parts unreadable, the script below, was taken from an early 20th Century Ward Lock guidebook, so is likely to be accurate. SIR JOHN SIMEON, BART., M.P. BORN, FEB. 9TH, 1815; DIED, MAY 21ST, 1870. THIS CROSS IS ERECTED BY MANY FRIENDS.